HomeBlogWill the Gaps Between a Child’s Permanent Teeth Close Over Time? Will the Gaps Between a Child’s Permanent Teeth Close Over Time? 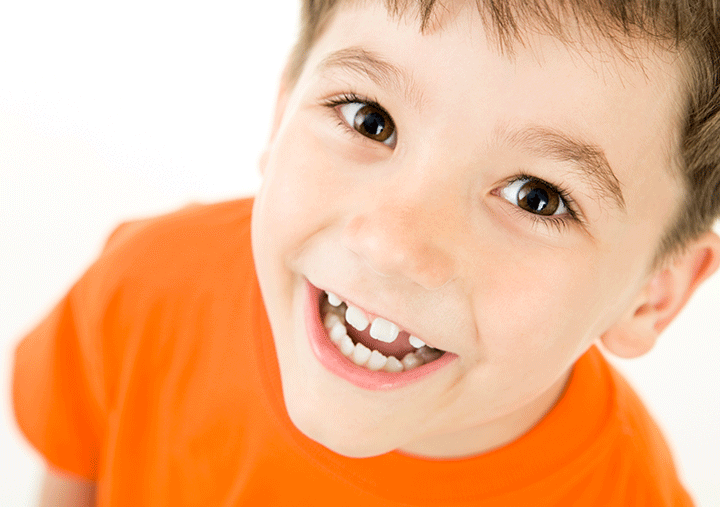 Many parents worry when their children appear to have large gaps between their permanent teeth. In many cases, as the permanent teeth erupt into the mouth, there will be a gap between the upper front teeth. This is considered quite normal as it is frequently seen. The spacing can be a result of the teeth protruding forward, if the teeth are small when compared to a normal sized dental arch or if the teeth are normal in a large dental arch. Usually, if the space between the two front teeth, called midline diastema, is small (2mm or less), it will close spontaneously as the upper canines erupt into the mouth. However, if the midline diastema is large (more than 2mm), there is less chance of the space closing by itself. If the space is large, the Orthodontist may advise an X-ray to determine if there is an extra tooth between the roots (supernumerary tooth) or if there any other factors causing the space. If the teeth with the space are severely protruding, then apart from aesthetic concerns, it also makes the front teeth more prone to being damaged. In this instance, Orthodontic treatment is advised by using simple removable appliances or sectional fixed appliances (braces fixed only on the front permanent teeth), which can close the spaces and also push back the protruded teeth. If your child has any of these symptoms it is recommended to have their teeth examined by an Orthodontist. The Orthodontist will be able to diagnose if there is any problem that needs to be treated at this stage. To book an appointment with one of our Orthodontist Specialists, please call one of our branches. Next post: Are Electric Tooth Brushes Better or Should I Stick to a Manual One?